What is the chiropractor physician's education? What happens during the first chiropractor appointment? 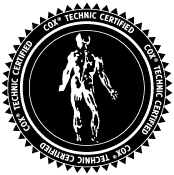 How does Cox compare to a "regular" chiropractor adjustments? How Much Buffalo, NY Back Pain Relief Do You Expect? Best Buffalo, NY Spinal Traction Position: Prone or Supine? Prone! Does Buffalo, NY Back Pain When Standing Upset You? Theres Help! Buffalo, NY Chiropractor says Get Those ZZZs! for Your Backs Sake! Buffalo, NY Golfers with Back Pain: Help is Here! What You (and your Buffalo, NY Chiropractor) SAY Affects Others Expectations. Be Positive! Buffalo, NY Chiropractic Neck Pain Care: Relief! Buffalo, NY Obesity: Risky for Back Pain or Not? Stressed Out? Try Buffalo, NY Chiropractic Care! Back Surgery Leave You with Back Pain? Chiropractic in Buffalo, NY Can Help. Buffalo, NY Neck Pain Relief: Chiropractor or Medical Is Better? Watch Out, Buffalo, NY Men Who Do Too Much! What Is A Healthy Intervertebral Disc of The Buffalo, NY Spine? Spinal Stenosis in Buffalo, NY: What Works? Conservative Care! Buffalo, NY Chiropractic Welcomes Curvy Spines! Buffalo, NY Chiropractic for Kids Who Sit Too Much! Buffalo, NY Neck Manipulation Good: Tinnitus to Brain Function! Buffalo, NY Chiropractic. Healthy Disc. Regenerate. Stand Up Straight. Better Gait! Athletes and Buffalo, NY Chiropractic: Keep the Game Going! Back Pain? Wobbly Gait? Unsteady Walking? Buffalo, NY Chiropractic Helps! A Chiropractic Buffalo, NY Osteoporosis Update: Build Your Bones with Vitamin D! What Is Lower Back Pain? Your Buffalo, NY Chiropractor Knows! Can Chiropractor Help? Yes! Spinal Discs Age Too! Help Buffalo, NY Degenerated Discs Nutritionally. Relieving Curcumin for Buffalo, NY Neuropathy! Add Olive Oil to the Buffalo, NY Holiday Dinner! Buffalo, NY Chiropractic Nutrition Tip: Strawberries and Blueberries Protect Your Heart! Buffalo, NY Nutrition Tip: Vitamin C for Potential Myelination and Peripheral Neuropathy! Listen to Your Buffalo, NY Chiropractor: Up Your Vitamin D! Nutrition Tip from Your Buffalo, NY Chiropractor: Multivitamin Improves Memory! Chiropractor Nutrition Tip for Osteoporosis: Eat Dried Plums for your Bones! 75% of all U.S. Adults including us in Buffalo, NY are Low in Vitamin D! Are you? Buffalo, NY Nutrition Update: Calcium May Protect You from Kidney Stones! Buffalo, NY Ladies: Hows Your Handgrip Strength? Useful Dead Bugs in Buffalo, NY Chiropractic Care! Exercise for Better Sleep and Buffalo, NY Chronic Back Pain Relief! Take a Walk, Buffalo, NY! Exercise your Back for the Buffalo, NY Holidays! Buffalo, NY Exercise for Brain Power! Buffalo, NY Exercise Tip: Stretch Hamstrings! Buffalo, NY Chiropractic Advice: Take a walk. Beware of Buffalo, NY Trampolines! Buffalo, NY Chiropractic Women Patients: Tend to your Hamstrings! Is Your Gait Off? Get It Back With Buffalo, NY Chiropractic and Exercise! Get a (Better) Grip with Buffalo, NY Chiropractic Spinal Manipulation! Chiropractor Exercise Tip: 15 minutes of exercise a day keeps back pain away! Your Buffalo, NY Chiropractor Worries About Your Spinal Discs When You Run or Jog! "I Dont Wanna Exercise..." The Novelli Wellness Center Says, "Exercise, Buffalo, NY!" Do Not Fear Moving with Buffalo, NY Back Pain. Prepare for It! Yoga Trumps Book for Chronic Lower Back Pain Relief; Chiropractor Care at The Novelli Wellness Center Trumps Them Both!